Brew of The Day: Captain America is My Inspiration! Can't believe that all our favorite comic book heroes are now all jumping to the big screen. Thanks to special effects and advanced technology, what seemed only possible in comics can now be translated to real life! Well or something very much like real life.. Hehe. And now the first avenger is introduced. So what's so special about him? Well, Captain America, a.k.a. 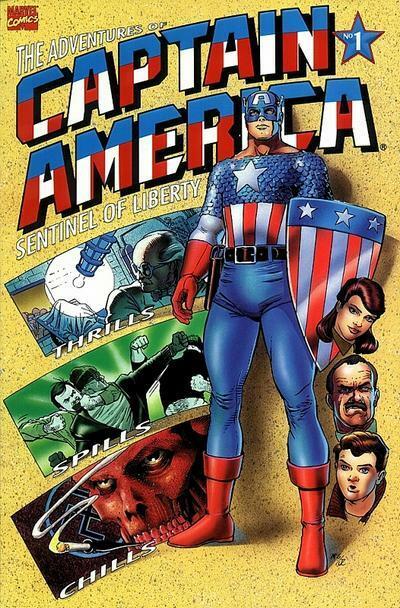 Steve Rogers, started to appear in his comic world universe during the World War timeline. He was a sickly young man who became a super soldier because of an experimental serum to aid the United States war effort. He was a true patriot and immensely loyal to his country. Suspended animation and a revival brought Captain America into the Avengers mix which later led him to become the leader of the Avengers. And the rest is Marvel History! What do I like most about Captain America? For me, I think Captain America is my inspiration because he never gives up. There were times when he wanted to quit. In fact, there were times that he DID quit or was forced to quit his "Captain America" title. Yet eventually, he always somehow finds himself going back to his identity and to his destiny -- which is basically to save the United States and the WORLD from all sorts of destruction as Captain America. I know I heard this somewhere.. "Once a superhero, ALWAYS a superhero." And that is sure a fitting description of Captain America. And so now, here we are! 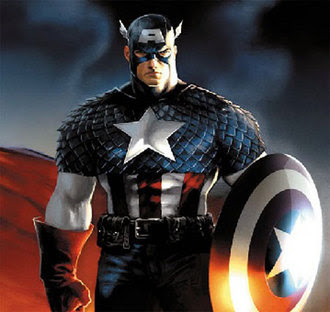 We get to watch the story of Captain America to unfold in the year 2011! I can't wait to watch it! Let me know what you think when you do. So don't forget to drop by your favorite SM Cinema to watch this upcoming movie very soon in a theater near you! 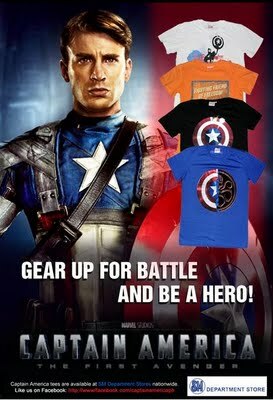 For more promos and updates, like them on Facebook http://www.facebook.com/captamericaph and visit http://theavengersassembled.com. Check it out now!